· Comes in attractive colors! · Wash and dry hair completely before styling with the wand. · Brush hair and divide into sectional strands for styling. 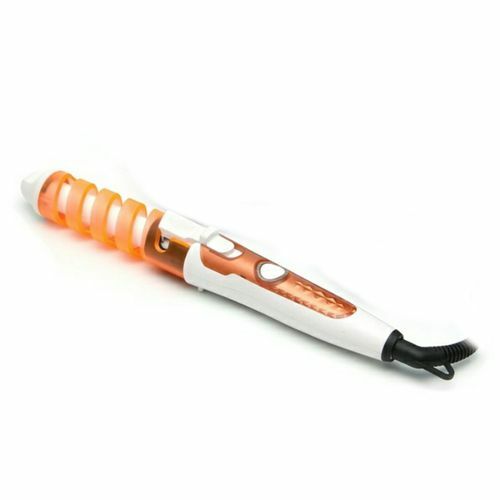 · Take one section about 5cm/2 inches wide between forefinger and middle finger, clip and twist wand around the section. · You may also use hair clips. · Move wand from roots to tips. · Hold for 5-10 seconds for soft curls, 20 seconds for tight curls. · Repeat with other sections. · Enhance your hair styling routine, get one now for yourself and loved ones!